The most obvious way to get financing for your business is by applying for a credit card or a bank loan. This, however, can land you in some serious debt if you are unable to pay off this debt with the revenue your startup business will make. Many entrepreneurs raise funds for their business through crowdfunding. This means that they make use of an online platform where people are welcome to make donations or contributions to your cause. This significantly broadens your business aspect as many people will become aware of your intention of opening a business. If done in the correct way, you’d be able to build funds over a period of time. If you feel confident enough about your business, you can vouch to hand over some of your future earnings to the right investor. 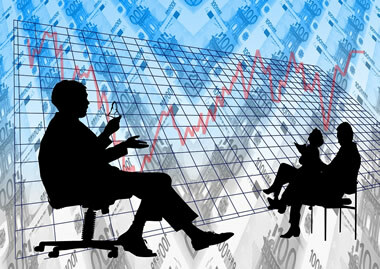 An investor can, for example, give you $600 000 for a 6% of the future earnings of your business. If, however, you choose this option, you need a solid business that will definitely succeed. One of the best and most used ways of financing your business is to raise funds through friend, family and acquaintances. In order to do this, you would need to have a business plan and reassure those willing to invest that your business will be a success. They can then either make a loan to you or opt to a percentage of equity in your business in exchange for the loan they make to you. Microloans are different to general loans in the sense that it offers only a small amount. If you take out a microloan, there is less paperwork involved than with a business loan and you have a better chance of betting the loan and being able to pay it off. These loans, however, often have higher interest rates where repayment is concerned. Depending on the nature of your business and how much capital you need to open your business doors, you can opt for any of the above-mentioned pointers. Many entrepreneurs have a dream of starting their own business but can’t do so as they lack the funds. With the correct loan, entrepreneurs can now, with the help of those willing to invest, make their dream come true of having a business of their own that will flourish in a short period of time!